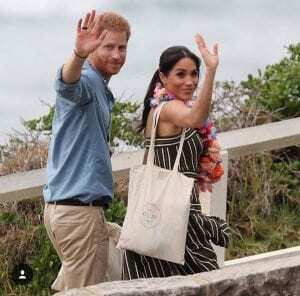 I had the pleasure of meeting Prince Harry & Meghan Markle on Friday October 19th with the community of One Wave down at Bondi Beach. At 8:15am we were about to greet the Royal couple with overcast weather but this didn’t dampen our spirits, stop the bright colours from shinning or the thousands of fans from screaming. As their car arrived, with no hesitation the crowd solidly screamed. 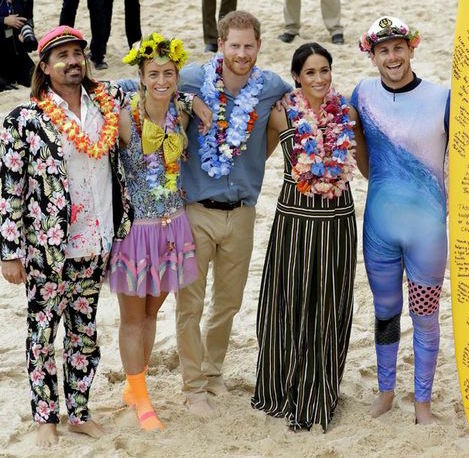 Excitement couldn’t even describe the feeling in the air on Bondi Beach at this point as the founders of One Wave Grant & Sam in their finest fluro outfits welcomed Prince Harry & Meghan to commence the first Royal Fluro Friday. 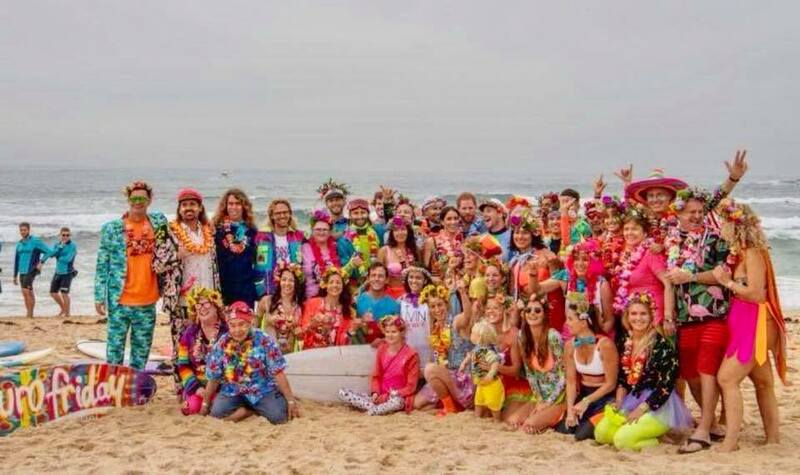 As they reached the beach, we all welcomed the Royals like we do when anyone comes down to Bondi Beach on a Friday morning at 6:30am to join the Fluro Friday community; with smiles and open arms (literally I got a hug from them both). The Royal couple had open hearts and a relaxed nature that brought out the best in the FF community. They were bare foot and excited to embrace the chance to help us bring light to mental health and help start conversations that wouldn’t usually happen. 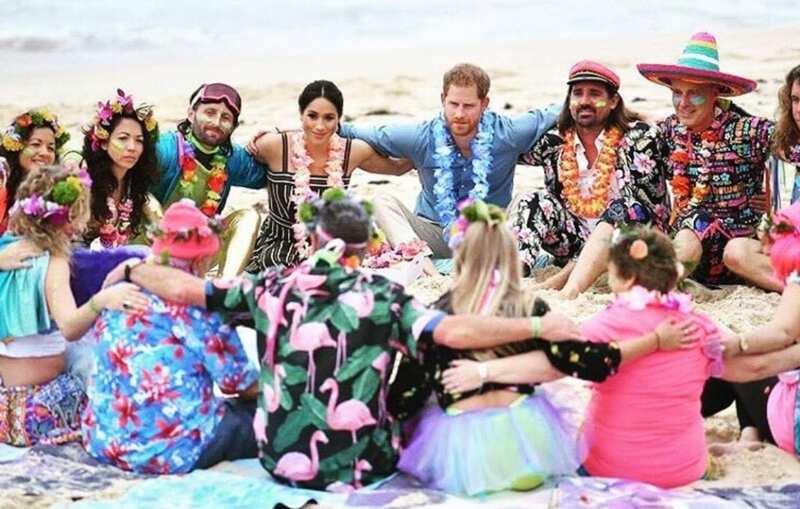 Prince Harry & Meghan made there way over to my group who were doing yoga in the sand and I had the chance to chat with Meghan firstly about her time in Australia and her passion in the area of mental health with Prince Harry. She explained how it aligned nicely with her long-standing drive to support women’s rights also. We had a lovely conversation around how she was excited to come back to Australia with the 3 of them next time (while holding her belly), and naturally all of us girls made an ‘aaawww’ sound. This lead to the conversation around mental health in children and youth and how with the initiative we all support we are one step closer to reducing the stigma around mental health and having normal conversations about mental health as we do physical health. Meghan was excited about the prospect of raising children in a time where these conversations are being had and communities like ours are about. After the chat with Harry & Meghan it was exciting to see a bigger picture of what I am also trying to work on with B.OKideas. To be honest with you I have been working non-stop on my vision to help as many people as possible and had begun to tire at the beginning of October. Meeting with the Royals not only relit something within me to continue with the B.OKideas but it gave me perspective. Perspective on the bigger picture and reiterated one of my favourite quotes, how we cannot help everyone, but everyone can help someone. 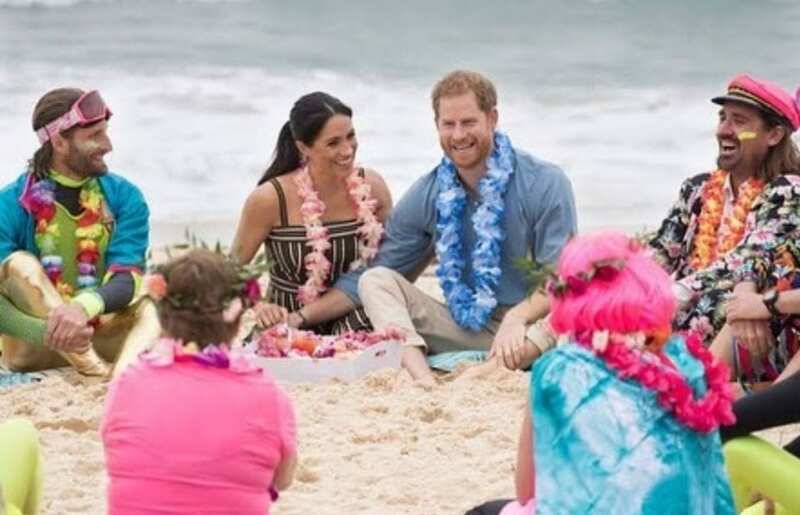 Even as a Royal you cannot help everyone, but by them showing up in Australia, taking their time to visit the One Wave Community they were able to help. Another reason for my change in perspective of late is due to the One Wave Community and seeing the 5 years of hard work which Grant and Sam have put in and how that has lead to such an important and crucial moment for them and the space of mental health. 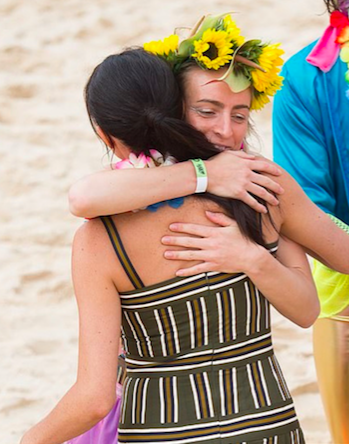 How their hard work, passion and persistence has helped shine a big royal fluro light on mental health and started a momentum which we all need to band together to continue. 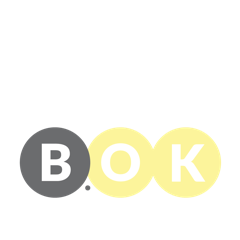 I am excited more than ever about the space that myself and the B.OKideas team are in and how lucky we are to have ambassadors and advocates such as Prince Harry & Meghan. 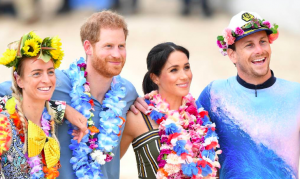 How can you be an advocate for mental health alongside of Prince Harry & Meghan?